As the aquarium is currently in a state of limbo, I thought it would be fun to take a look at the critters that have been most rewarding to keep in the year or so I’ve had my aquarium. Based on my personal experience, I have made an, admittedly completely arbitrary, top 10 of animals for a Cornish (or North-Western European) marine aquarium. I picked animals that were both easy to collect (i.e. common), easy to keep (not requiring live food and resistant to water temperatures up to 25C) and fun to watch. Here goes with the first part of the list! Not the prettiest of molluscs maybe, but very easy to find and very easy to keep. Burrowing in sand, and moving surprisingly fast over the bottom when smelling food. Their smaller (and prettier) cousins the Thicklipped dogwhelk Hinia incrassata never survived for long in my unchilled tank. 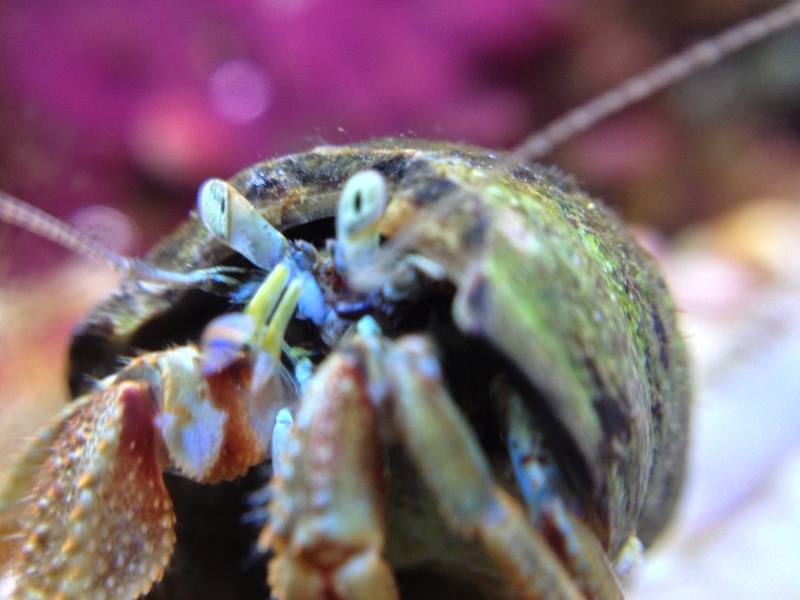 Hermit crabs are especially fun to watch scurrying about. 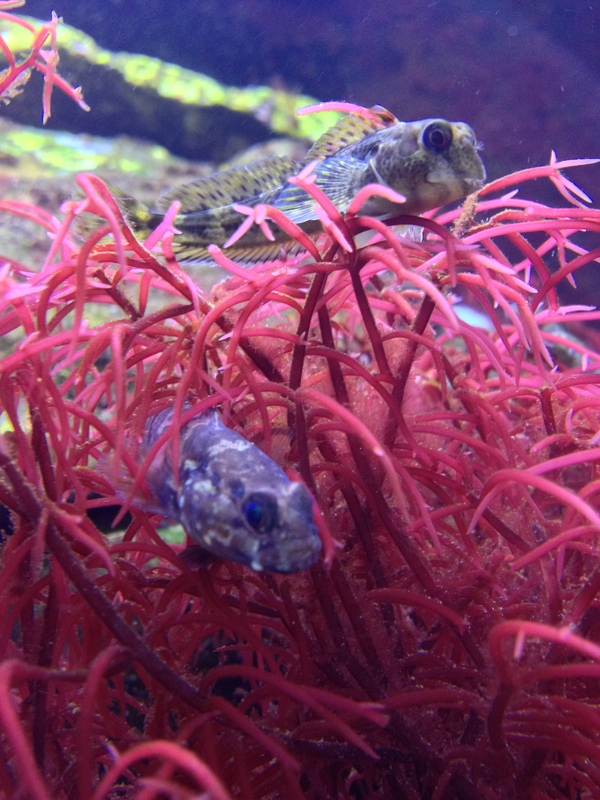 Mine never really lasted very long but that is probably because of predation by blennies and gobies (see below)…. Shannies are probably the most common fish to find in rock pools. They are very easy to keep, their coloration is not particularly vivid but not dull either and they are quite active. The only downside is that they prey on molluscs and other small critters. Feeding them a bit more might prevent this, but especially the rock gobies are so voracious that I doubt that (one was so swollen I thought it was dying, until I realized that it had gorged itself on defrosted artemia…). Montagu’s blenny Coryphoblennius galerita is prettier and smaller than the shanny but much harder to find (see this post for experiences with other fish species). Most rock pool inhabitants live on or near the rocks, but it looks nice if the aquarium also have some fish swimming in the water column. Mullet are very common, and small individuals form nice silvery schools (which are almost impossible to photograph as you can see). They don’t really interact with the other tank inhabitants. 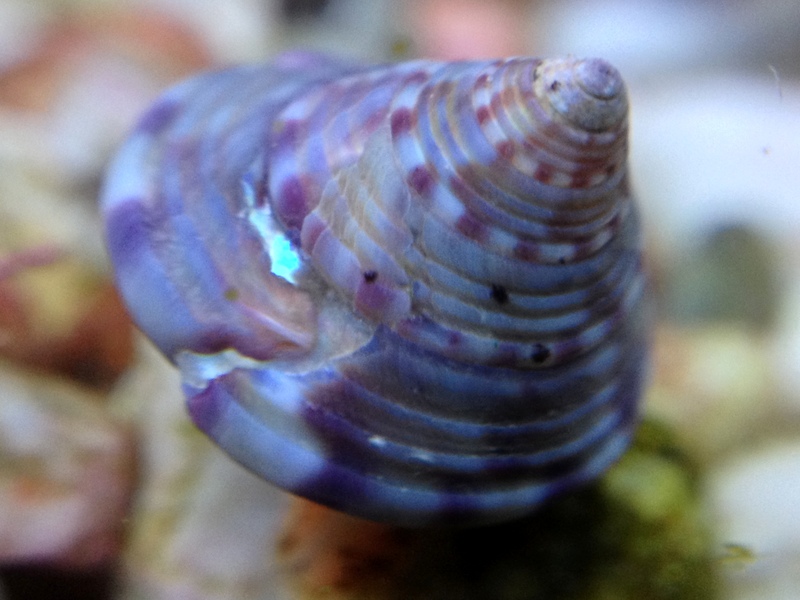 One of my favorite local molluscs: a bright purple shell with an orange colored snail inside. 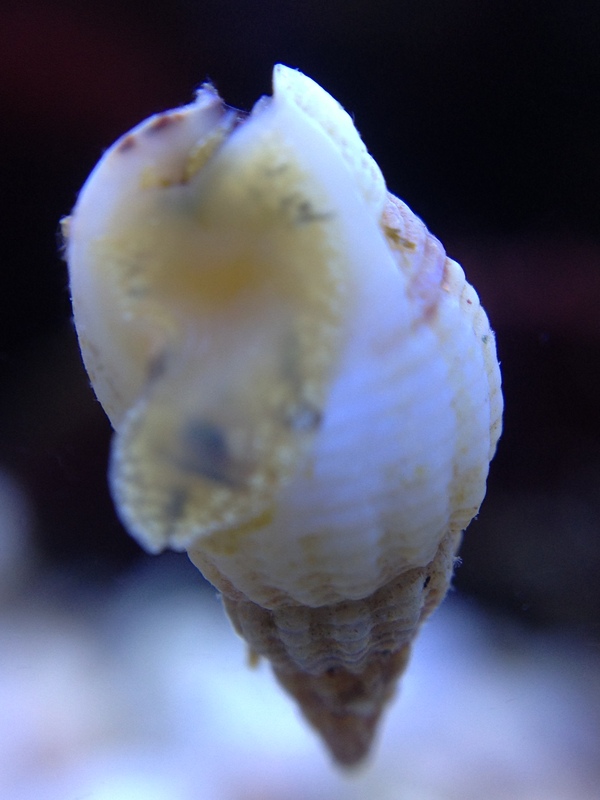 Shells are never covered with algae as the snail wipes it clean with its foot (the shell can still be damaged of course as seen in this individual). 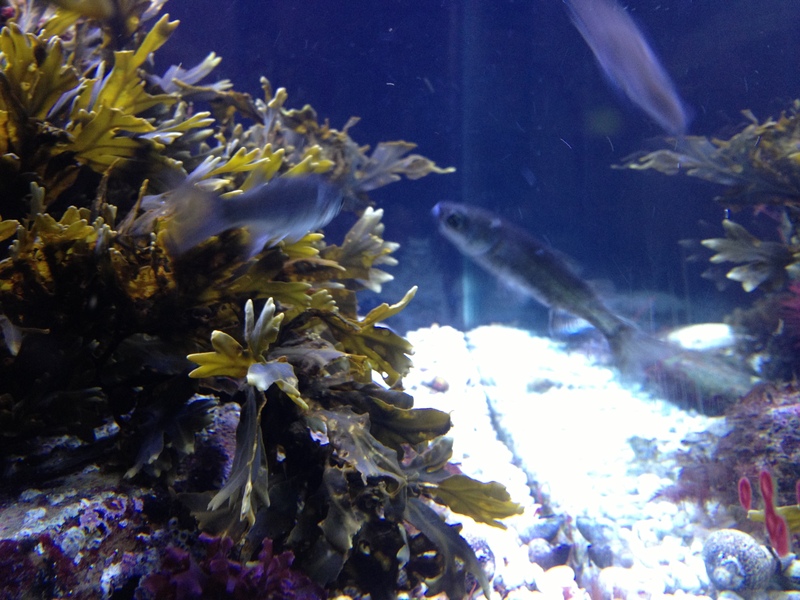 The next post will feature the top 5 of animals for the unchilled aquarium. This entry was tagged Calliostoma zizyphinum, Chelon labrosus, Common hermit crab, Gobius paganellus, Hinia incrassata, Hinia reticulata, Lipophrys pholis, marine aquarium, marine tank, Montagu's blenny, Netted dogwhelk, Pagurus bernhardus, Painted top shell, rock goby, shanny, Thicklip grey mullet, Thicklipped dogwhelk. Bookmark the permalink.